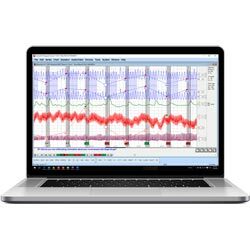 The Lafayette Polygraph Software System utilitizes the intuitive graphical Windows® interface and features pull down menus, mouse capability to initiate commands and functions, easy to use dialog boxes, and context sensitive help. Inexperienced users can learn to use the Lafayette Polygraph Software System quickly. Experienced users can take advantage of the advanced capabilities of the Lafayette Polygraph Software System. Windows®-based since 1994, our software offers unparalleled ease of use and proven reliability, and is Windows® 10 compatible. LXSoftware comes with the PolyScore and Objective Scoring System (OSS-2 and OSS-3) Scoring Algorithms. Polygraph Software LXSoftware 11.8.2 is now available for Download! Our Windows-based systems offer unparalleled ease of use and proven reliability.